The U.S. Marine garden flag measures 11" x 16" and comes with a silk screened graphic of the Marine Corps crest. The diameters of the spinners are 13" and 16" with the colors of the Marine Corps. 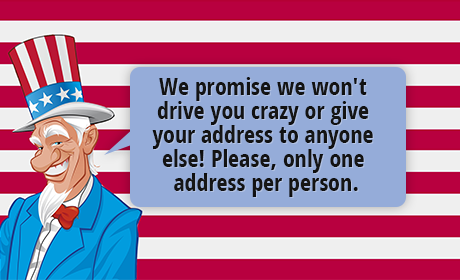 Also included is a ground stake. 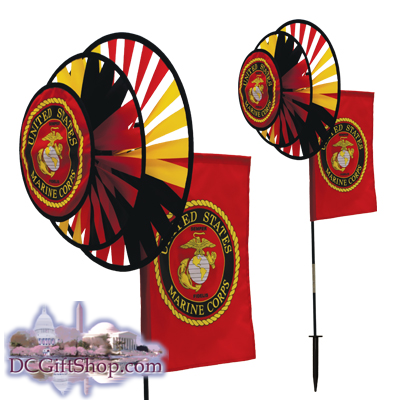 Celebrate the summer and show your support for the United States Marine Corps with this Dual Spinner Wheel with Garden Flag. This item is made with weather resistant fabric with a pivoting fiberglass pole to keeps the wheels spinning with the wind.